In 2015, Roses in Concrete Community School opened in East Oakland, California. With a name inspired by a book of poetry written by Tupac Shakur, the school aims to create a model for urban education that prioritizes the needs of youth and families in the community it serves. It’s founder, Dr. Jeff Duncan-Andrade, believes education is the way to help young people understand that they can transform not only their community but the world. By creating the conditions for our youngest change-makers to flourish, this education model can be a pathway to building healthy and sustainable communities across the U.S. 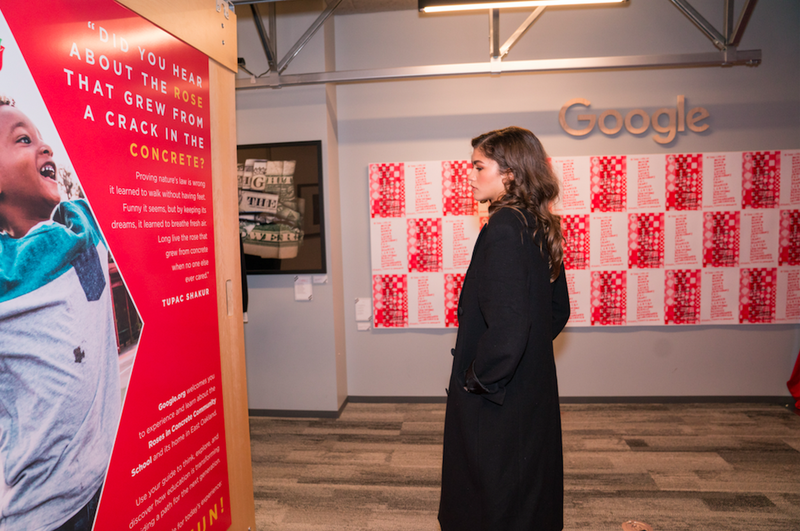 In the school’s first year, Google.org provided $750,000 to help launch its unique vision. And last Friday at Google’s San Francisco community space, teachers, students, artists, education advocates, Googlers and Oakland-native actress Zendaya celebrated the announcement of our additional $650,000 grant to help the school build a first-of-its-kind computer science (CS) curriculum, which will serve as a model for other schools across the U.S. The curriculum will be culturally and community relevant, building on Duncan-Andrade’s philosophy that education shouldn’t push students out of communities, but should instead help students transform them. Research shows that Black and Latino students are interested in learning CS, but are underrepresented in the field due to limited access to learning opportunities, coupled with the lack of relatable role models. Through this new program, Roses in Concrete helps students see the connection between CS and their communities, and hopes to equip them with the skills they need to solve real problems, starting in their own neighborhood. During the evening’s events, Roses students shared a dance, art, and poetry performances for the crowd, which included Zendaya, an avid supporter of the school. Growing up in Oakland as the daughter of two teachers, she has fond memories of spending time in the same classrooms that now make up the Roses in Concrete campus and credits pretending to grade papers as some of her earliest acting experience. 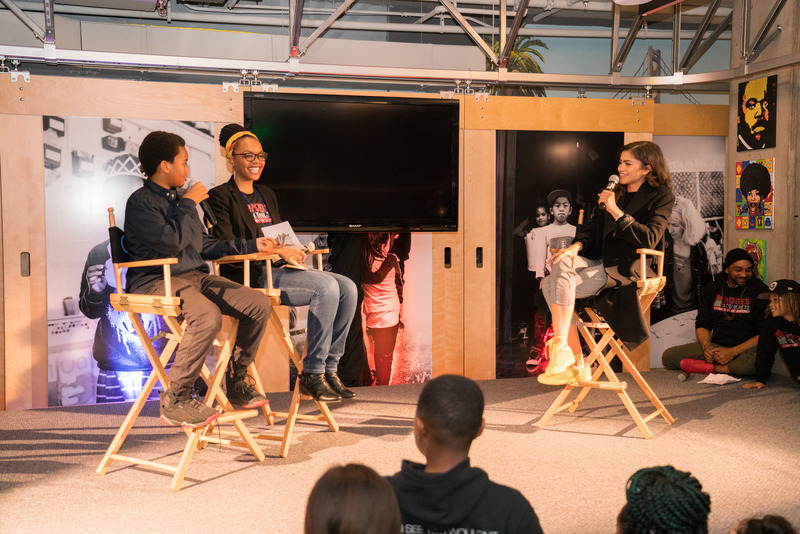 During a student-led interview, Zendaya shared her appreciation for organizations like this progressive community school that is thoughtfully closing equity divides in her hometown. She encouraged the students to “Always lead with your heart and chase the happiness that fuels you,” and reminded them that technology is one possible medium for them to express themselves and make a positive difference. As a lab school, Roses in Concrete will share this new curriculum with national school leaders, policy makers and researchers. And alongside Roses, we can identify more ways to provide meaningful CS experiences to students of color, and by doing so, provide pathways for them to grow, thrive, and create change—in their own communities, and around the world. Google Chrome Extensions at School: Get more done!